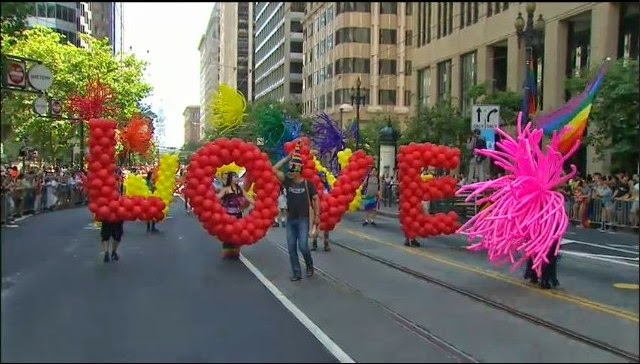 Member of Balloon Magic Marches in the 42th SF Pride Parade on June 24, 2012. 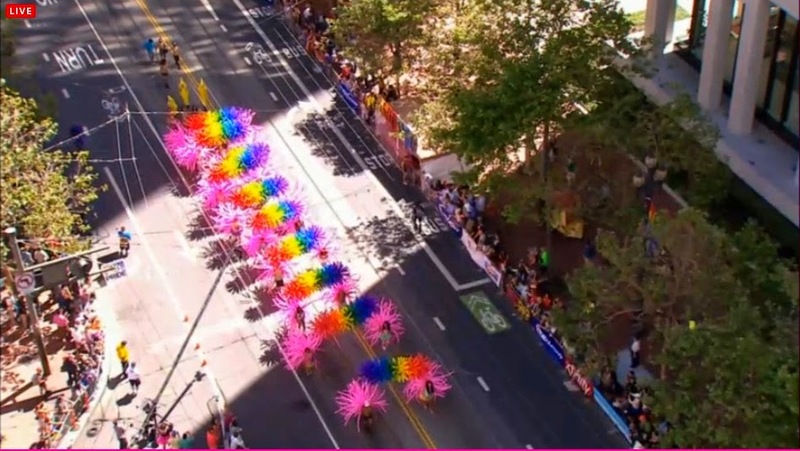 The 44th Annual San Francisco Pride Parade kicked off at 10:30 a.m. on Sunday June 29, 2014. attracting hundreds of thousands of spectators and participants to this one of the largest LGBT gatherings in the nation. The theme of this year's parade was "Color Our World With Pride." Adding a splash of colors to the parade, the group Balloon Magic has been a staple over the years and one of my favorites. They have usually been marching between the leading Dykes on Bikes and Cheer San Francisco. The featured postcard was made from one of my photos taken on June 24, 2012.